It is important for the owner-builder to know what financial and time investment can be expected in archaeological activities. 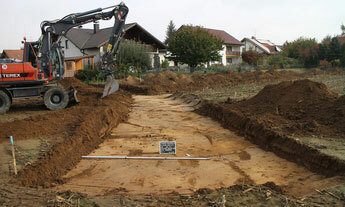 The first step are trial trenches, or the removal of topsoil. 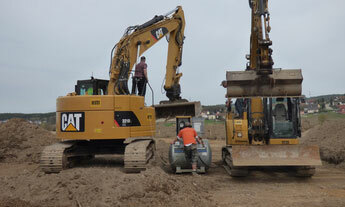 Ongoing construction work does not necessarily have to be disrupted. 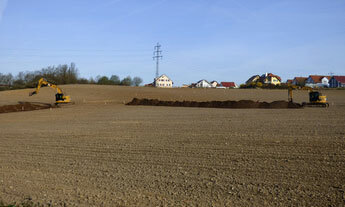 After removing the topsoil (humous), archaeological structures within the geological soil (trenches, walls, burials), are revealed. Their kind and number are then documented. However, if the area is free of archaeological findings/monuments, the approval for construction is released immediately by the state authorities. We will gladly consult you and develop a concept that ensures an efficient workflow in order to avoid construction disturbances. 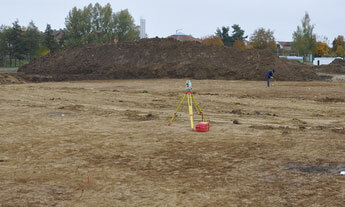 An evaluation on location by an archaeologist, provides the owner-builder with an accurate estimation of the duration of the archaeological work.